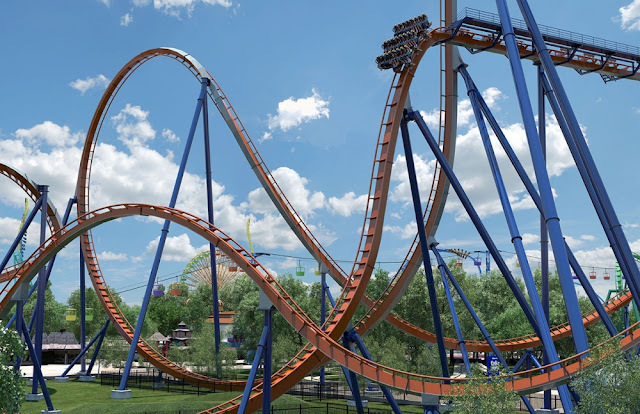 Cedar Point announced today that Valravn, the park's first dive machine roller coaster will be coming to the park in 2016. 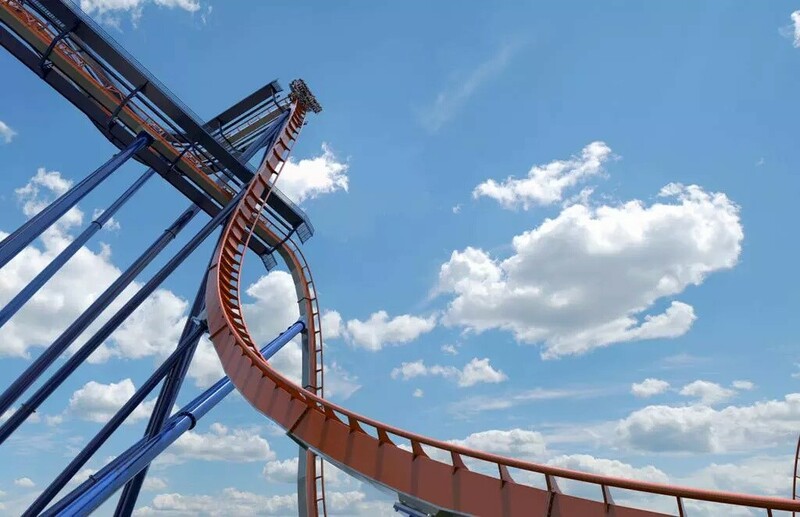 This marks the park's 18th coaster and it's the first time one of these coasters is being built outside of a Busch Gardens park in North America and they're definitely upping the ante with the latest from Bolliger & Mabillard with this one. 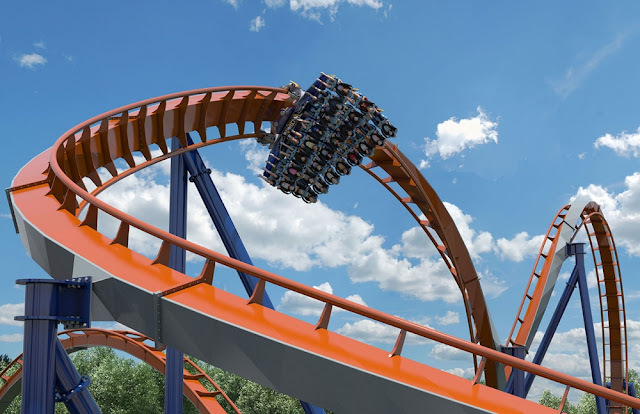 It will be the tallest, fastest, and longest of its kind anywhere in the world, fitting for B&M's 100th coaster. The new coaster, named after a supernatural raven from Danish folklore, will be located where there the Good Time Theater once stood and offer plenty of new thrills for all who seek to tame the insanity. 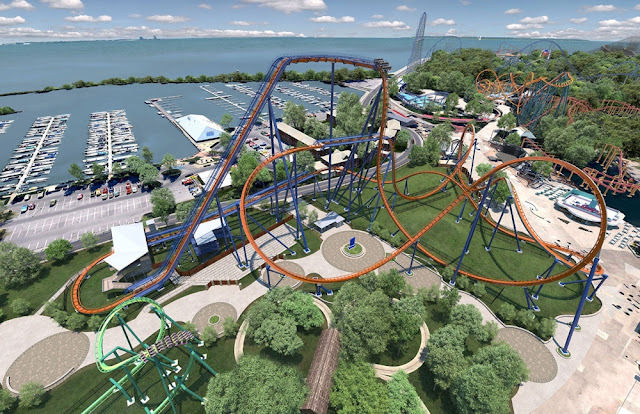 Just what can we expect from the newest shrine to thrills to grace Cedar Point's skyline? Well, here's the breakdown. 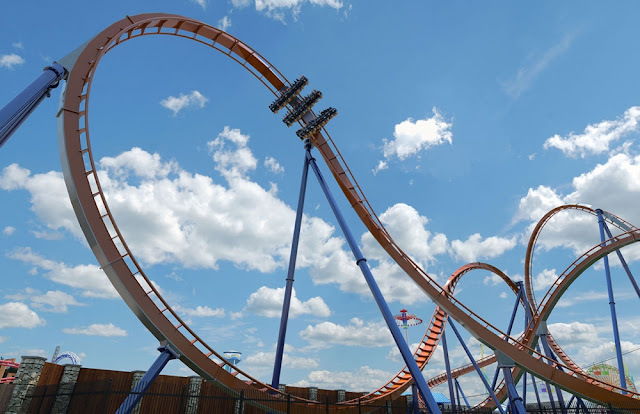 Riders will be arranged in an 8 across seat arrangement as they rise 220 feet before plummeting 214 feet back down to earth and reach speeds 75 MPH. You'll go through 3 inversions over the length of the 3,415 foot long course. It not only features the world's tallest immelman inversion, standing at 165ft but it will bring the over 200ft club up to 5 total for Cedar Point as well. Stay tuned as we get more information on this breaking announcement! 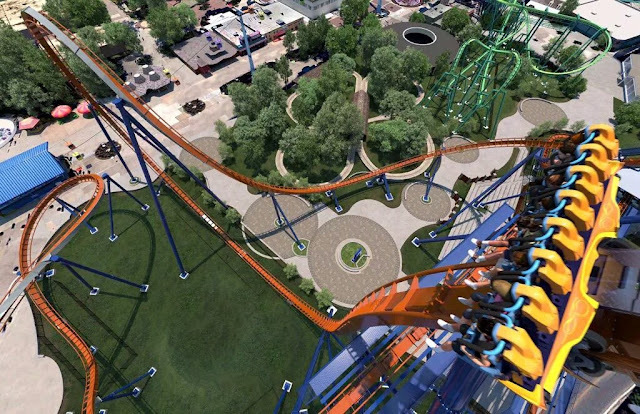 And now for the official POV from Cedar Point! 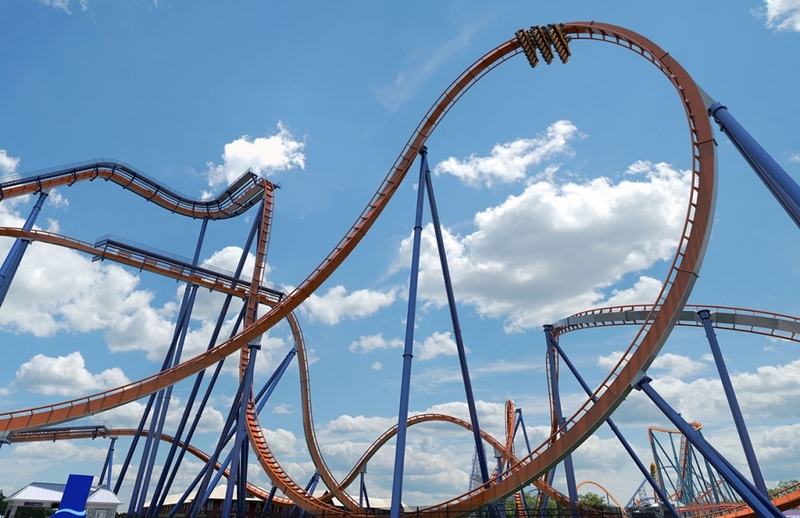 And for those looking for something a bit different, a Panoramic POV!